Ronald U. Blare, age 82 of Conneaut, died Wednesday, March 27, 2019 at his residence surrounded by his family. Ron was born August 18, 1936 in Wyatt, West Virginia, the son of John Blare and Gladys Snyder. Ron entered the United States Navy in 1954 and served his country aboard the U.S.S. FISKE during the Korean War until he was honorably discharged in 1958. 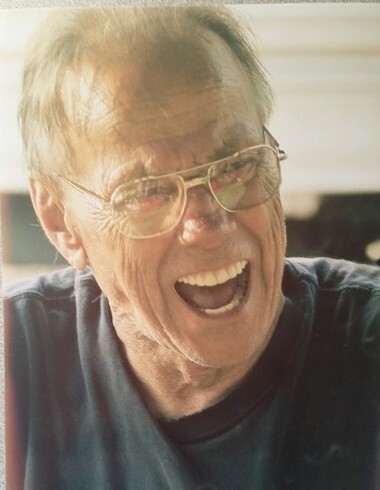 Ron worked for over 20 years at the former Eighmy Corporation in Conneaut as a machinist and later retired from the Jones Tech Company in Andover, Ohio. Ron enjoyed spending time with his family, friends, grandchildren and great-grandchildren. Ron was a former stock car driver in the “late model” division at Raceway 7 several years ago, he also enjoyed fishing and hunting. He liked to go to the Casino’s and tinker in his garage. He was preceded in death by his parents, two brothers Nathaniel Blare, Bradley Blare and an infant sister Ione Blare. He is survived by his wife Dorthene (Clark) Blare whom he married May 16, 1960, a son Ronald and Rita Blare of Painesville, daughters Donna Blare of Austinburg, Rita Blare of Girard, PA., Denise and Daniel Owens of Conneaut, Rhonda Cool of Conneaut, Karen and Kevin Warren of Conneaut, Paula and Al Taylor of Tennessee, ten grandchildren and ten great-grandchildren. Following cremation, a Celebration of Ron’s life is being planned by the family. Memorial contributions in Ron’s memory can be made to the Alzheimer Association or to Hospice of the Western Reserve.